Deputy Thomas has been with the Gaston County Sheriff's Office since 2008. In 2013 he completed the MSF class through Gaston College. He was then placed on the motor unit at the sheriff's office. 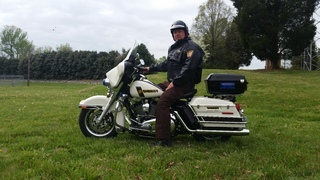 Deputy Thomas completed the 80 hour Basic Motor school in Hendersonville NC in 2015. He has also been a bike safe assessor since 2016.